As you may know, I am the KWEEN of flea markets, so obviously I’ve done my fair share of flea-ing since arriving in Nashville. First, I attended the Porter Flea in Nashville, which only happens one weekend each summer and luckily I was here for it! 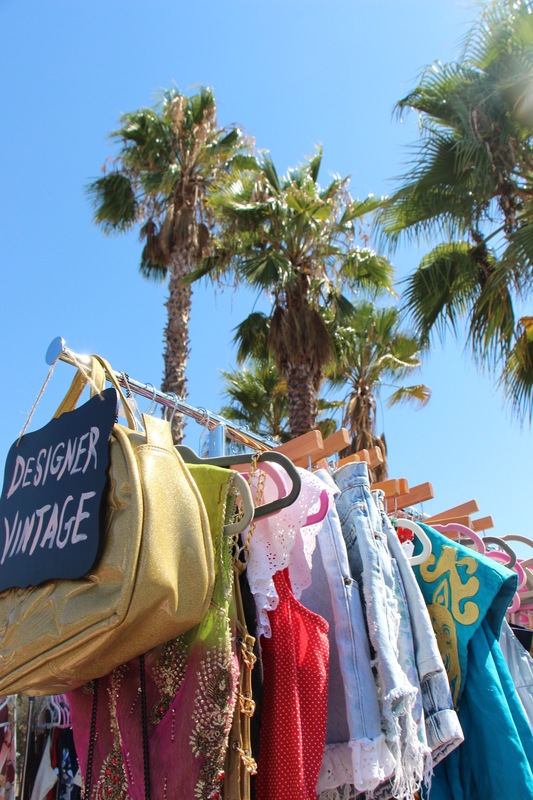 It takes place in a huge warehouse and tons of funky vendors were there; it almost felt like browsing through shops on Venice and Santa Monica. I got a cute black maxi dress, a funky stone bangle and obviously a macaron because of course they happened to have a vendor selling them lol I simply can’t be tamed around french pastries. 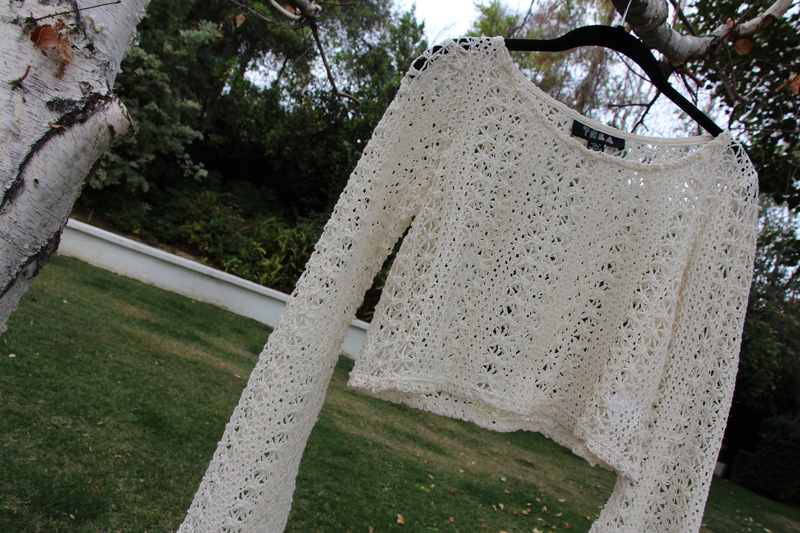 Every ol’ second sunday of the month comes a magical time where enough racks and piles of vintage clothes and antique goodies to fulfill my wildest dreams can be found at the Rose Bowl Flea Market. I’ve been going to the Rose Bowl with my mom since my middle school years and since then I’ve acquired sum trinkets of wisdom on what to look for, how to prepare and most generally how TO “Rose Bowl Flea Market” that I shall share with you. Street graffiti like THIS, is the best. 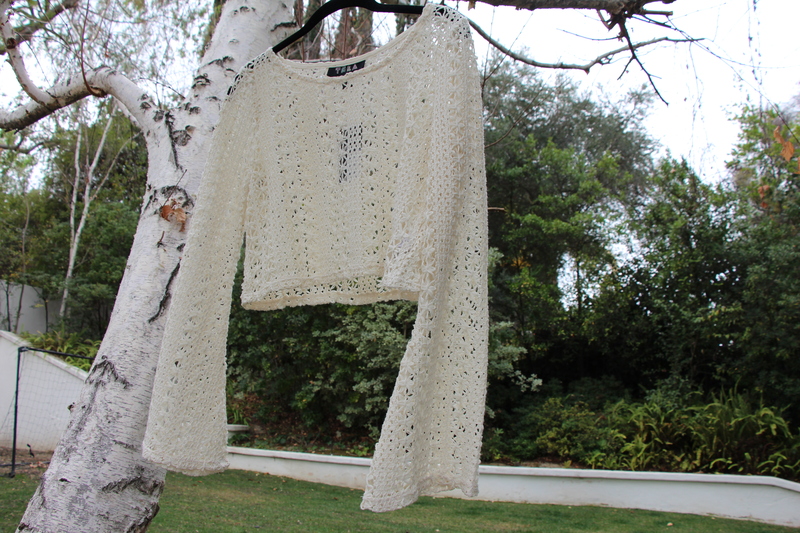 This top’s got a total 70’s feel with its long flared arms and lacey/crotchet texture and material. 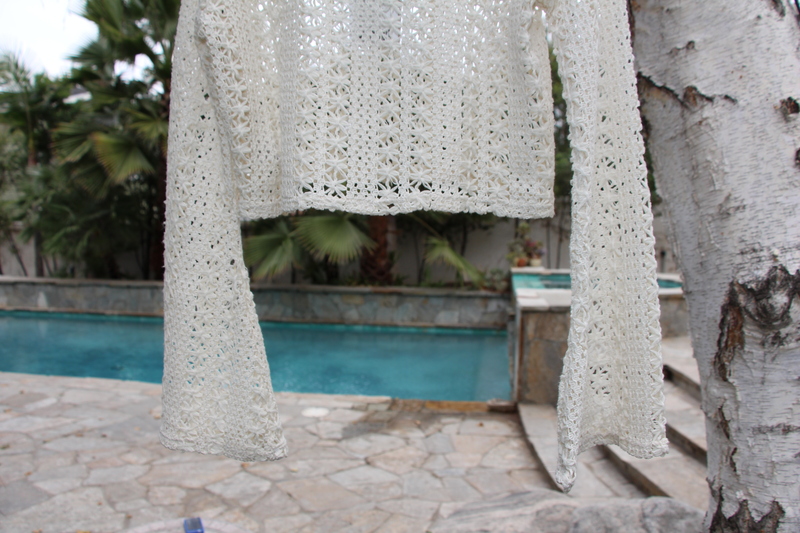 The creamy white color is perfect for a hot day out in the Indio sun. 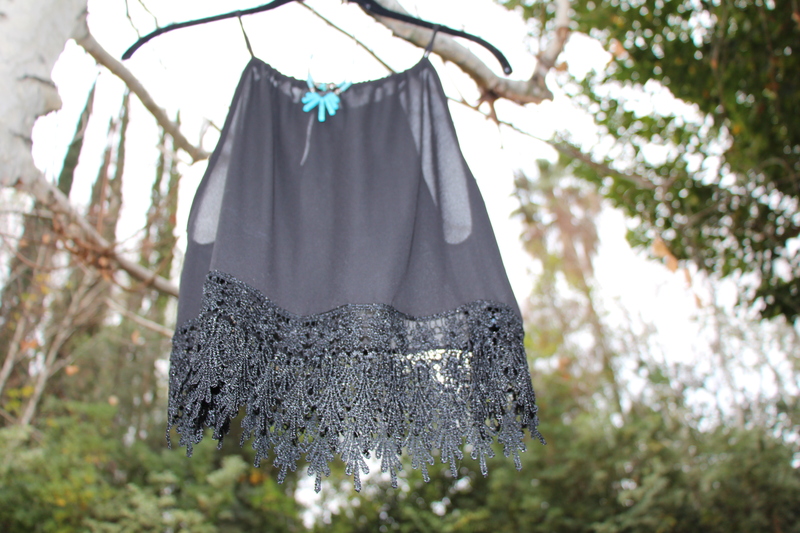 I could pair this with a flawy pair of floral pants, some grungy high-wasted shorts, or even a simple maxi skirt. To give it the finishing touch, I added this turquoise, stone necklace I thrifted from Out Of the Closet a couple of years ago. 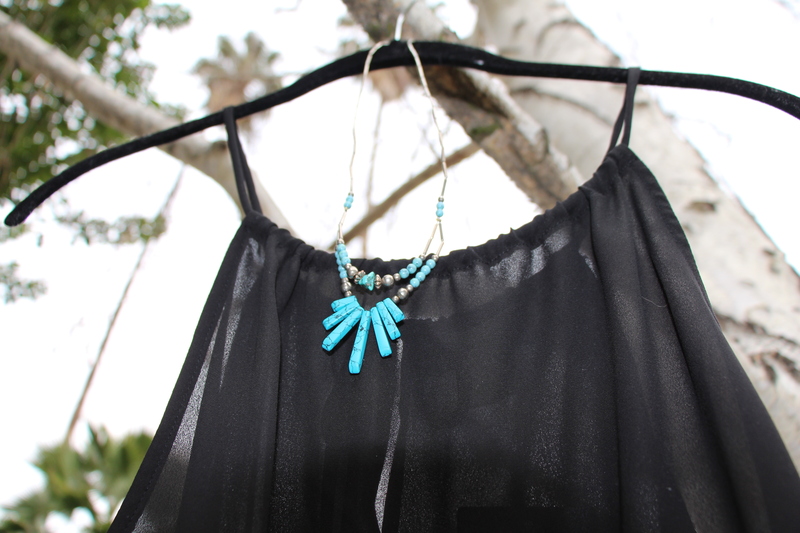 The aged turquoise really gives the top the “flayva” it needs.